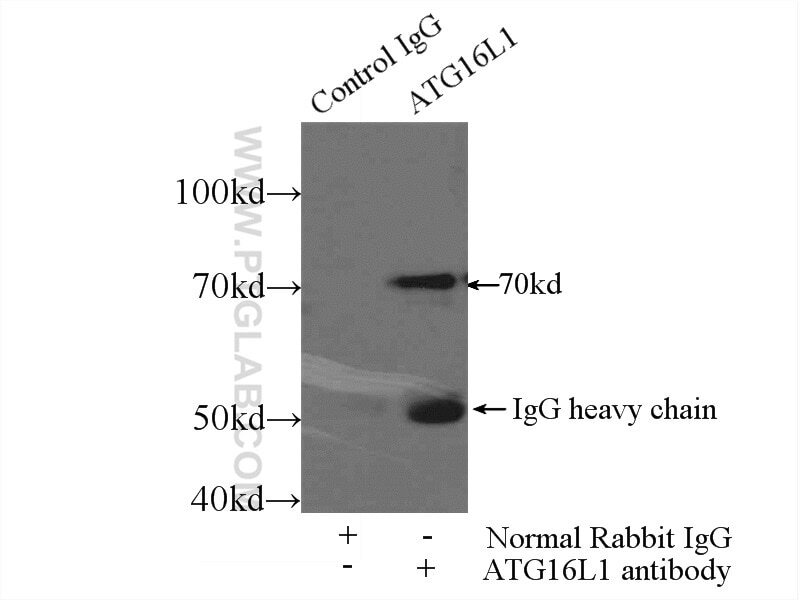 IP Result of anti-ATG16L1 (IP:19812-1-AP, 4ug; Detection:19812-1-AP 1:300) with MCF-7 cells lysate 2000ug. Atg16L1 mediates the cellular degradative process of autophagy and is considered a critical regulator of inflammation based on its genetic association with inflammatory bowel disease. ATG16L1 has been implicated in Crohn’s disease.